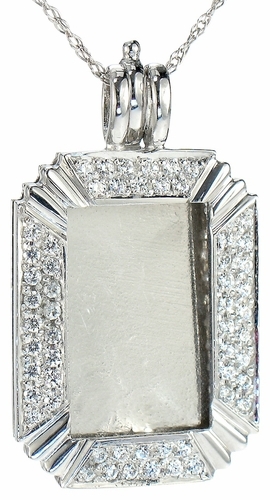 Our Picture Frame Pave Set Round Cubic Zirconia Pendant is the perfect way to display that special photo. 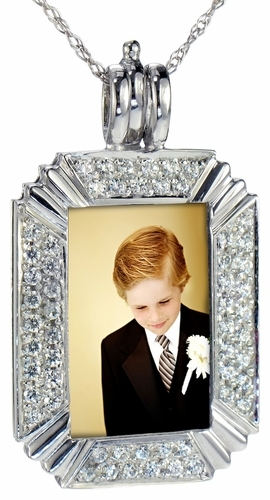 Pave set cubic zirconia rounds are placed along all four sides of the frame and additional grooves are placed in all four corners to highlight your photo. 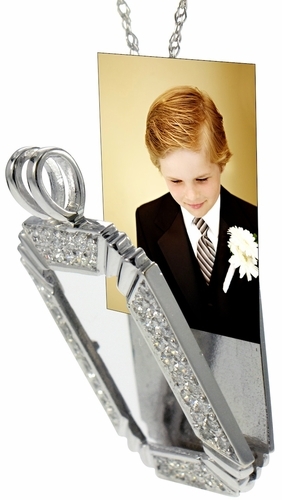 A bottom hinge facilitates the opening of the frame and a plastic photo protector is included. 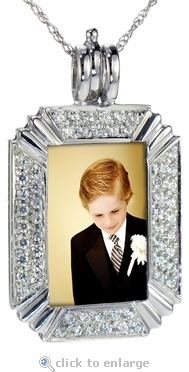 The frame measures approximately 1 inch in length and about .75 inch in width with just over 1 carat in total carat weight of the finest hand cut and hand polished diamond quality cubic zirconia. 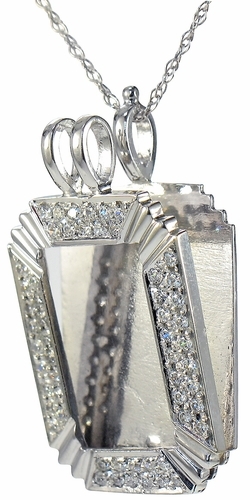 This necklace comes standard with a 16 inch fine rope chain and an 18 inch is available, please see the pull down menu for options. For further assistance, please call us directly at 1-866-942-6663 or visit us via live chat and speak with a knowledgeable representative.